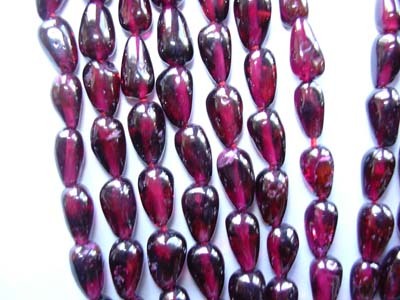 Rough Stones From Orissa Gems: Online shopping store for beads, Gold Jewelry Rough stone,orissa garnet, cubic zirconia, gems, jewellery, silver jewellery, indian textile, indian sculpture,gold jewellery. 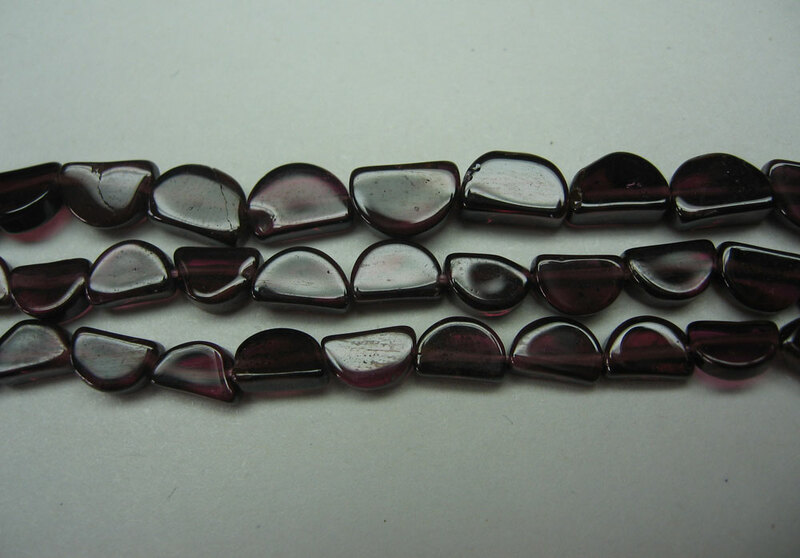 OG/GB_1 : Garnet Button/ Coin, shape, 16' strands, Price $ 1.95 per string. 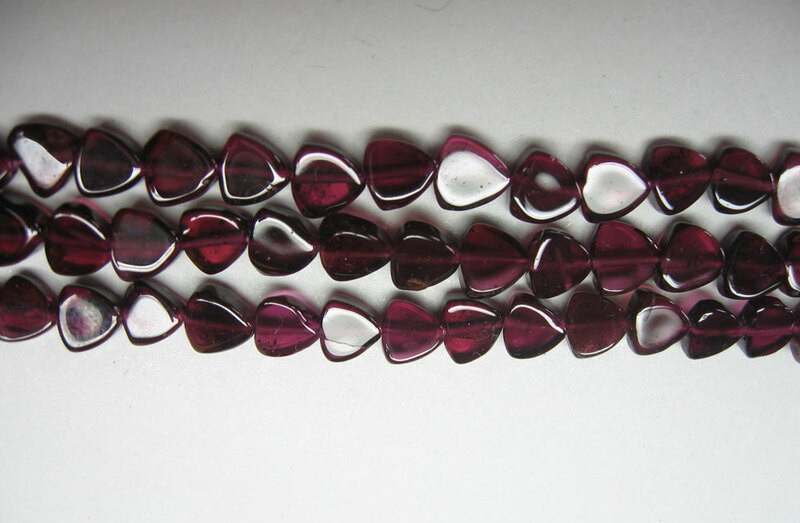 OG/GB_2 : Garnet, Round Washer shape., 16' strands, Price $ 2.60 per string. 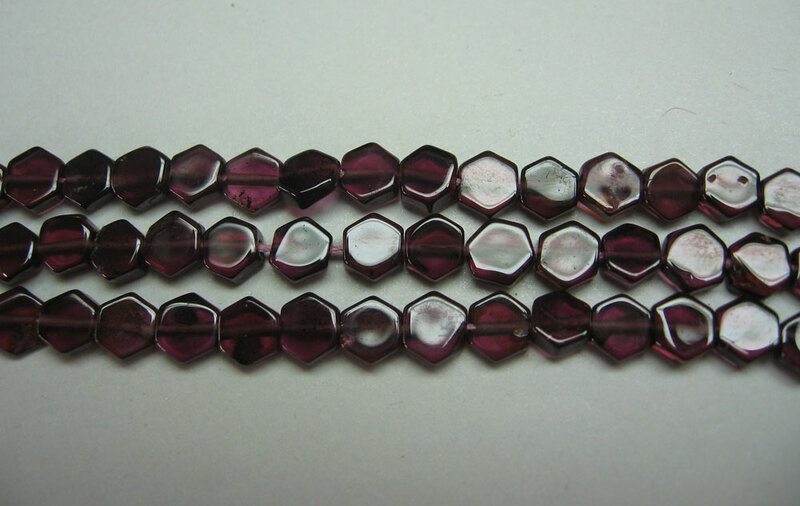 OG/GB_3 : Garnet, Dish Coin, shape., 16' strands, Price $ 3.40 per string. 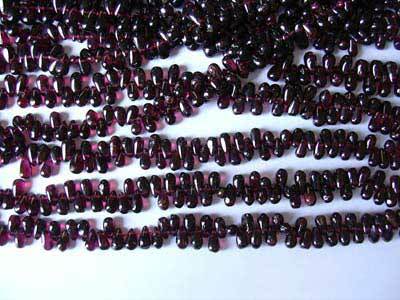 OG/GB_4 : Garnet Disco SQ, shape., 16' strands, Price $ 3.40 per string. 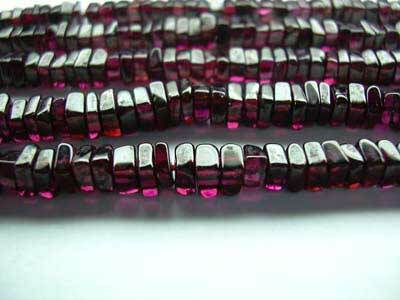 OG/GB_5 :Garnet squares Wasser, shape., 16' strands, Price $ 4.00 per string. 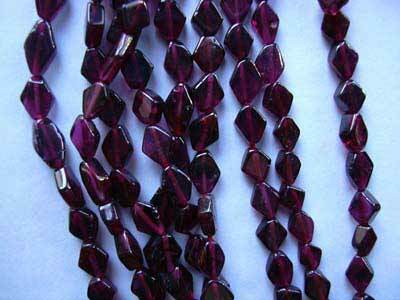 OG/GB_6 : Garnet SQ Chopasa, shape., 16' strands, Price $ 4.00 per string. 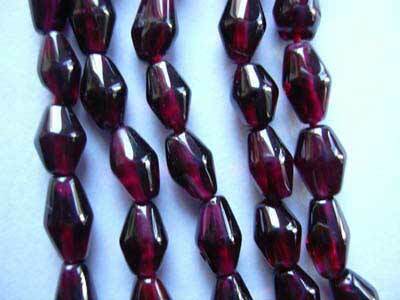 OG/GB_7 : Garnet Chopasa Long, shape., 16' strands, Price $ 1.95 per string. 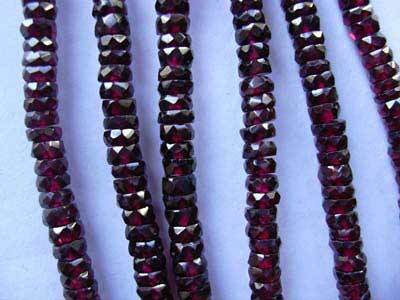 OG/GB_8 : Garnet Chopasa, shape., 16' strands, Price $ 1.95 per string. 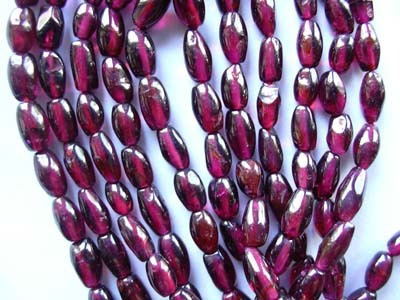 OG/GB_9 : Garnet Oval Beads, shape., 16' strands, Price $ 2.35 per string. 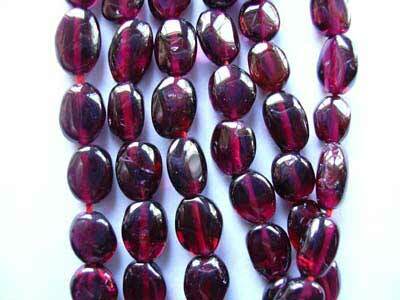 OG/GB_10 : Garnet Long Oval, shape., 16' strands, Price $ 2.35 per string. 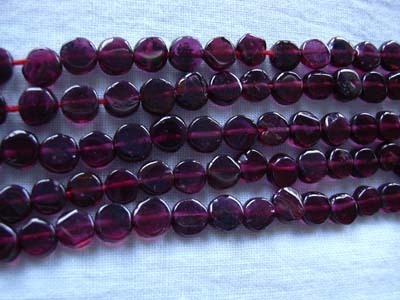 OG/GB_11 : Garnet Drops, shape., 16' strands, Price $ 4.00 per string. 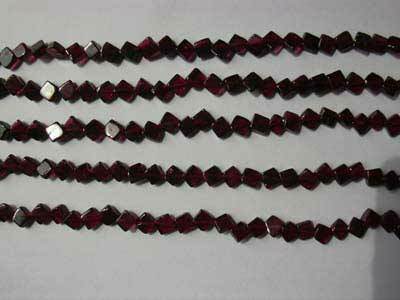 OG/GB_12 : Garnet Drops side drill, shape., 16' strands, Price $ 8.00 per string. OG/GB_13 : Garnet Pears, shape., 16' strands, Price $ 2.30 per string. 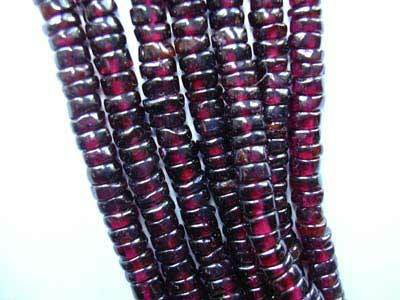 OG/GB_14 : Garnet Pears, shape., 16' strands, Price $ 4.70 per string. 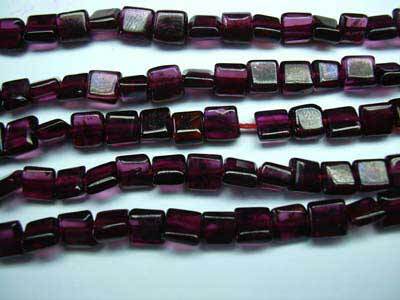 OG/GB_15 : Garnet Dholki, shape., 16' strands, Price $ 4.00 per string. 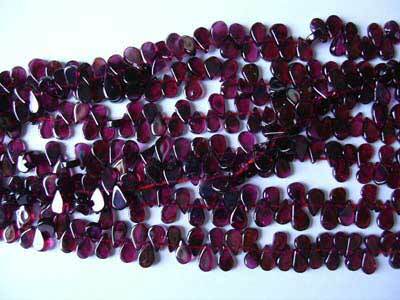 OG/GB_16 : Garnet Kite, shape., 16' strands, Price $ 2.60 per string. 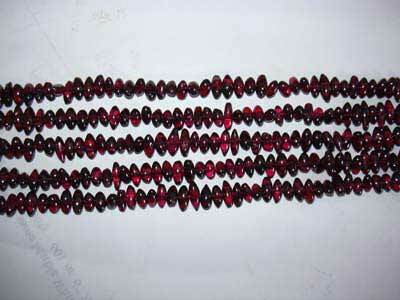 OG/GB_17 : Garnet Bird, , 16' strands, Price $ 2.35 per string. 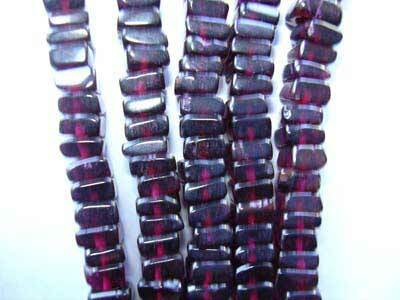 OG/GB_18 : Garnet Pipe, shape., 16' strands, Price $ 2.35 per string. 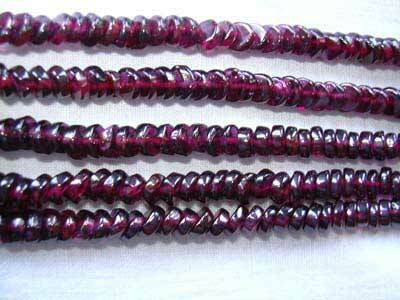 OG/GB_19 : Garnet Barley, shape., 16' strands, Price $ 2.35 per string. 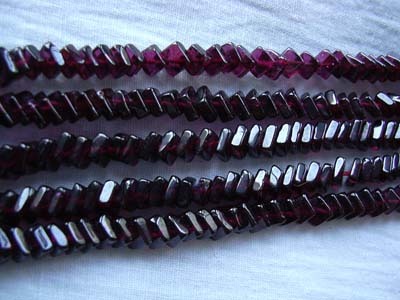 OG/GB_20 : Garnet Sakarpara, shape., 16' strands, Price $ 2.35 per string. 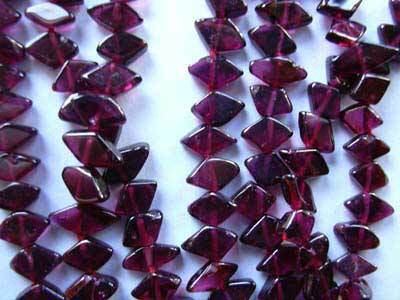 OG/GB_21 Garnet "Hexagonal" shape., 16' strands, Price $ 2.35 per string. 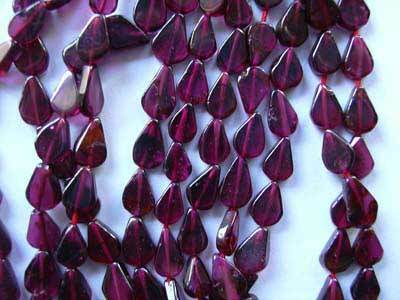 OG/GB_22 Garnet "Triangle", shape., 16' strands, Price $ 2.35 per string. 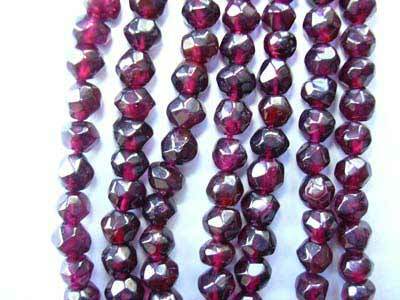 OG/GB_23 : Garnet "D" shape, shape., 16' strands, Price $ 2.35 per string. 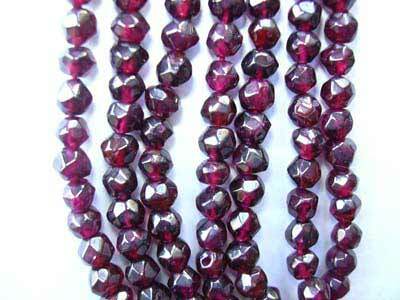 OG/FGB_26 : Faceted Button, shape., 16' strands, Price $ 14.50 per string. 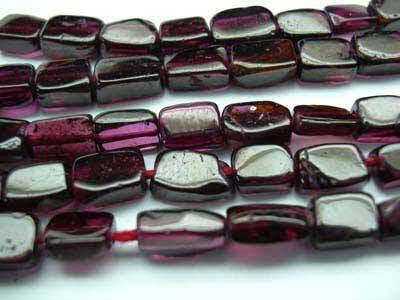 OG/GB_24 : Faceted Garnet 4 mm Beads, shape., 16' strands, Price $ 2.00 per string. 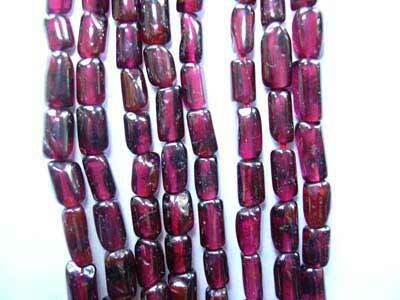 OG/GB_ 25 : Garnet 5 mm Beads,, shape., 16' strands, Price $ 2.50 per string.